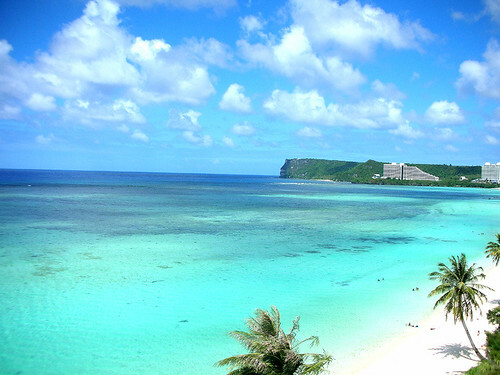 Guam does not usually add stress to my life. It is a little dot in the Pacific and can be hard to spot on a map if you don’t know where to look. The island is hot, humid, and beautiful. The people are abundantly kind, generous, and friendly. It is very laid-back. I know this because I used to live there. I have a lot of family there. And unless a big typhoon is forecast, Guam doesn’t keep me up at night. This is in stark contrast to my current island, Manhattan. For many people in the Pacific Rim (and beyond) the news from North Korea lately has caused some anxiety. My mom is one of those people and she asked if any of my troops, “had heard anything at work.” She was looking for some kind of reassurance. I told her that no one is going to tell me “anything.” But I called one of the guys anyway and he confirmed my suspicions about how National Security works: Random civilians are not on the need-to-know list. Then he kindly called my mom to tell her that everyone is paying close attention, is highly trained, deeply dedicated, and other things that helped her feel more at ease. My first “time-out” occurred after I thought my adopted soldier’s base was attacked and overrun. The initial information in the news matched his area. It turns out it happened at a base close by: COP (Combat Outpost) Keating. It was a horrible battle. Because there were casualties, there was a mandatory communication blackout while next of kin are notified. It was weeks before I found out if my soldier was okay. During those weeks I poured over every article trying to find information on him. Even though that was years ago, there have been others that I’ve prayed for in different situations. So you can understand why I am not emotionally prepared at this time to take on additional worry-regions. If one area of the world wants to flare up, I’m afraid I’m going to have to insist that another area calm down. Of course, I dont want that flare-up to be where my family is, or yours, or people in general. In fact, I would simply prefer an outbreak of world peace. I was relieved when one of my soldiers left Iraq and got transferred to Korea. I figured I don’t have to worry about him now. But the truth is, “less safe” can happen anytime, anywhere. Troops are on call 24/7 and can be sent anywhere, anytime. They don’t get the luxury of saying they are weary of conflict. One soldier wrote me, “You know who hates war? Those of us that have to do the fighting and pay the price.” But they raised their hands to serve for those they love and millions of random civilians. So I will bring my hands together to pray for their safety and ours. I will never take a “time-out” from that.